First rose to fame competing on the second season of Produce 101. He would go on to become part of the temporary boy band Wanna One. He signed with MMO Entertainment. He was first seen as a backup dancer for Cao Lu. Wanna One released the 2017 EP 1×1=1 (To Be One) and the album went on to peak at #1 on the Korean charts. His birth name is Yoon Byeong Ok. His mother's name is Kim Hyun-soon and he has one sister, Yoon Seul-ki. 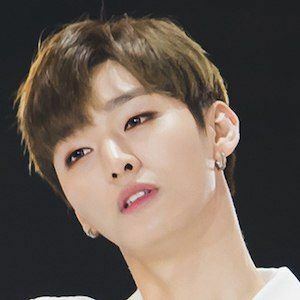 Some of the other members of Wanna One include Sung-woon Ha, Hwang Min-hyun, and Park Ji-hoon.